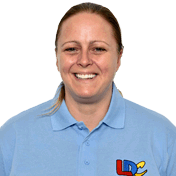 Michelle is very calm with a student-centred approach and she put me at ease from day one. Before I started driving with Michelle I wanted to take lessons in an automatic car just because it was the easiest option but she made learning in a manual really easy and lessons with her were always enjoyable. 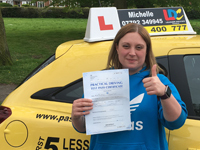 Michelle's teaching skills, along with the LD System are what helped me pass my test first time with only 6 minors. I couldn't recommend her enough to anyone wanting to learn to drive and I can honestly say you won't be disappointed. I'm a driving instructor in Watford, Hemel Hempstead, St Albans, Bushey, Kings Langley, Chesham, Chorleywood, Rickmansworth, Croxley Green and surrounding areas.